The Information Commissioner, in rejecting an appeal by Netpol over the refusal of the police to release details of a programme to ‘deradicalise extremists’, has endorsed unfounded and unsubstantiated links between anti-fracking protests and the threat of terrorism. In October 2015, we asked Cheshire, Cumbria, Greater Manchester, Lancashire and Merseyside police for details of referrals made in the prior ten months through Channel, a ‘counter radicalisation’ process that is part of the government’s anti-terrorism Prevent strategy. Channel supposedly offers voluntary support to people identified as “vulnerable to being drawn into terrorism” and although there are a number of agencies involved in it, the police play a central role in its delivery. Rather than overall statistics, we asked specifically for the number of individuals seen as allegedly at risk through their involvement in anti-fracking campaigns. Our requests were the result of concerns raised with us by campaigners from the region who were angered that their opposition to fracking had been used as an excuse to refer them to Channel, in most cases by universities or further education colleges. All related to an alleged ‘risk’ to adults rather than children. Channel may be appropriate for anyone who is vulnerable to being drawn into any form of terrorism… It follows from this that, for a referral to be made to Channel, it must be suspected that an individual is at risk of becoming involved in terrorist related activity. In effect, the Commissioner is insisting nobody is referred unless there is a good reason for doing so – even if this is for nothing more than expressing legitimate political opinions about fracking. Netpol made a formal complaint to the Information Commissioner’s Office (ICO) back in June 2016, after all five forces had rejected our requests for statistics. We argued they had all provided standardised, almost identical responses that addressed issues we had not even raised and had therefore failed to properly consider the public interest in releasing the particular data we had asked for. In five, near-identical Decision Notices issued on 15 November, the ICO has rejected our complaint. It has accepted, on national security grounds, the police’s argument that “if the information were held, confirming this would disclose that Prevent officers were targeting anti fracking events for extremist activities, and that maintaining a police presence at anti-fracking events was a Prevent priority”. The ICO notices add that in the Information Commissioner’s view, disclosure “would be useful intelligence to anyone wishing to circumvent counter terrorism arrangements surrounding fracking”. 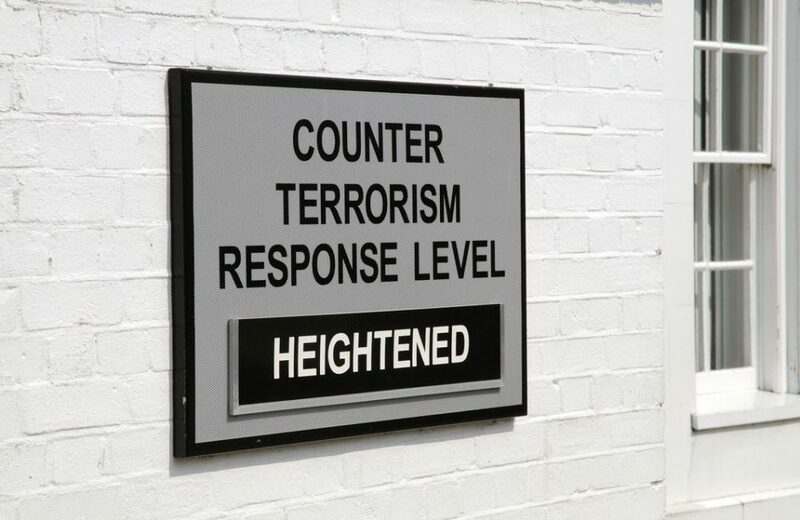 Prevent is a national counter-terrorism initiative that is only implemented in certain police forces across the country. The same FOI request made to multiple forces could therefore identify how Prevent resources are apportioned across the country. Anti-fracking campaigns organise around designated locations across the country; confirmation of the existence of the requested information would facilitate the mapping of Prevent capabilities alongside anti-fracking campaigns and, when incorporated into a radicalisation strategy, could be used by extremists to evade detection, thereby prejudicing national security. A footnote adds, “the Commissioner notes that the complainant submitted this request to five police forces covering North West England, simultaneously”, as though this indicates evidence of some kind of threat. What is missing from any of these statements is a simple but fundamental fact – there is simply no evidence whatsoever of any link between anti-fracking campaigns and extremism, never mind a risk of “terrorism-related activity”. There is no reason for Prevent officers to target anti-fracking events for extremist activities and no reason for a police presence at anti-fracking events “as a Prevent priority”. There is certainly no ‘radicalisation strategy’ behind mapping the targeting of anti-fracking campaigns by Prevent in different parts of the country – unless Netpol’s desire to protect individual civil liberties by understanding the scale of unwarranted surveillance falls into this category. Instead, there is an urgent need for greater transparency about the false conflation of opposition to fracking – and increasingly other campaigns – with terrorism and a threat to national security. In these circumstances, providing advice and guidance “to anyone wishing to circumvent counter-terrorism arrangements surrounding fracking” seems like an entirely reasonable defence of campaigners’ human rights. Netpol is currently considering an appeal to the First-Tier Information Rights Tribunal.